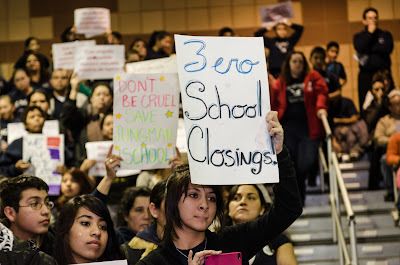 Teachers For Social Justice: School Closings: People Say NO! School Closings: People Say NO! On February 13th, CPS released its list of potential school closings, which contains 129 schools, 124 of which are north of North Ave. Thousands of parents, teachers, students and community members have been showing up at CPS's school closings commission hearings to denounce CPS's plan to balance the budget on the backs of Black and Brown students and outsource neighborhood schools. We are building a city-wide coalition, the Grassroots Education Movement, made up of teachers, parents, students, and communities to defend and take back our schools. Please support neighborhood schools by attending these hearings. There will be a hearing every weeknight and Saturday morning through March 4th. For a complete list, please visit this page. 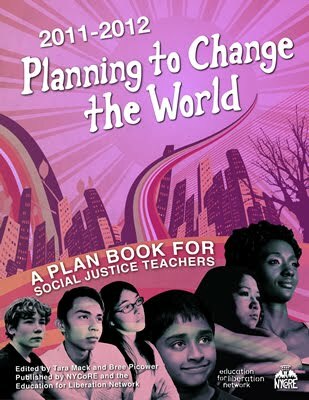 TSJ "Popular Education Organizing Sheets"